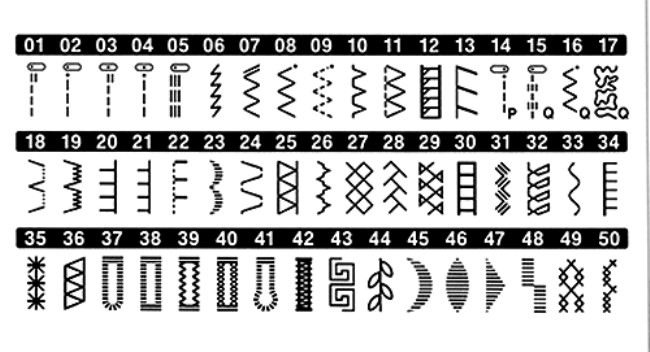 Incredible ease of use with a wide range of utility and decorative stitches. 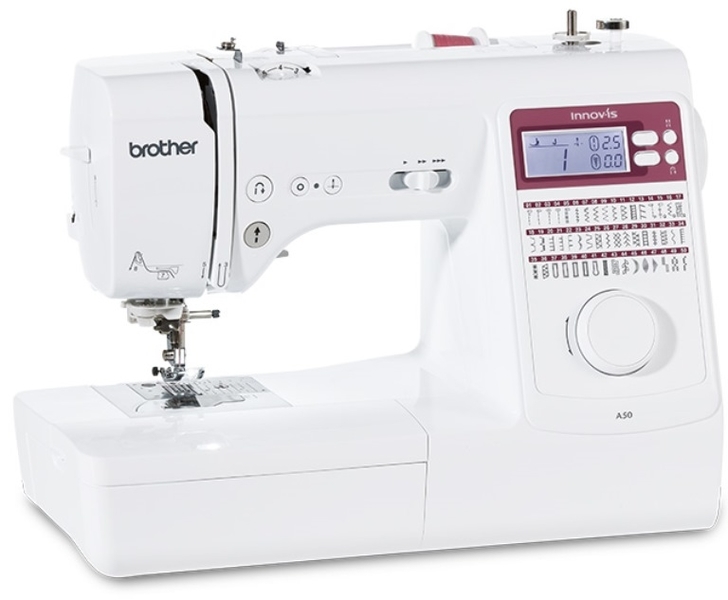 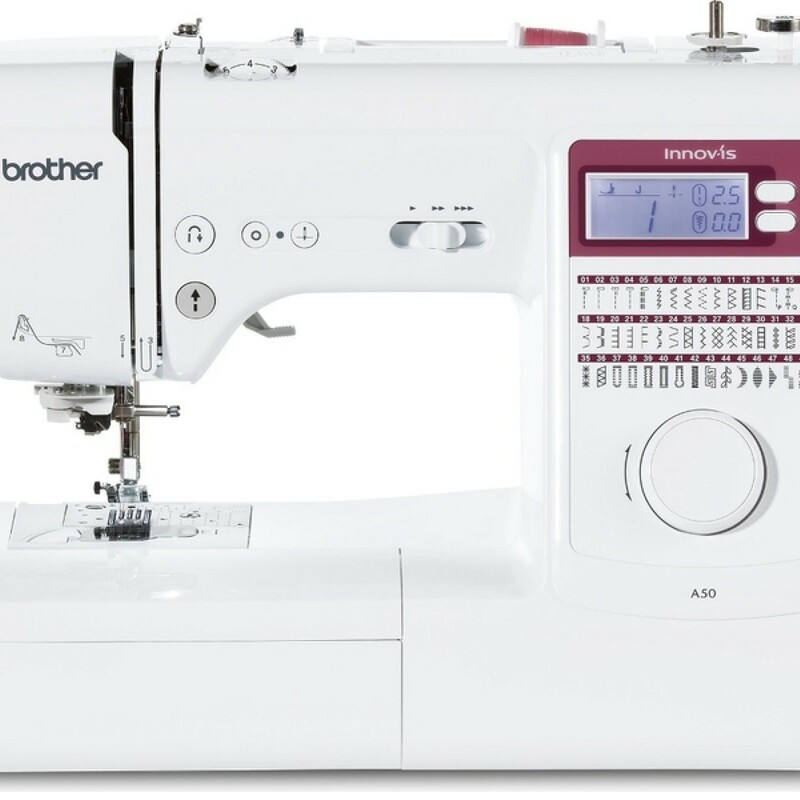 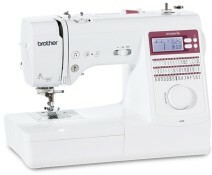 The Brother Innovis A50 Computerised Sewing Machine offers an endless amount of flexibility for customisation and crafting. 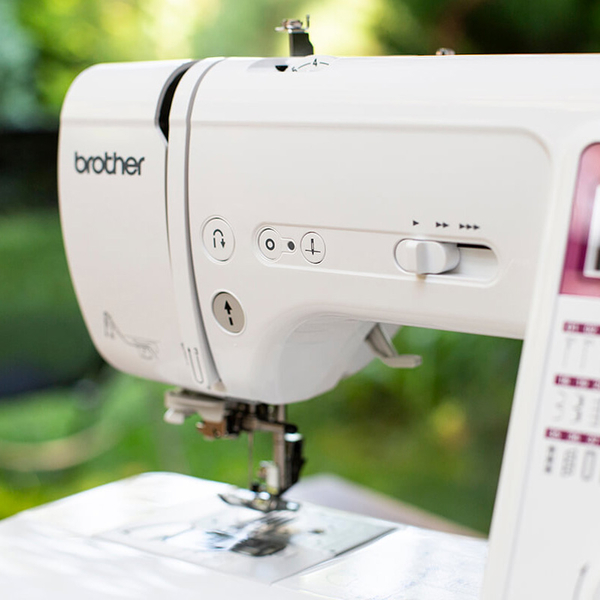 Ideal for expressing your creativity across a range of projects, from fashion to quilting. 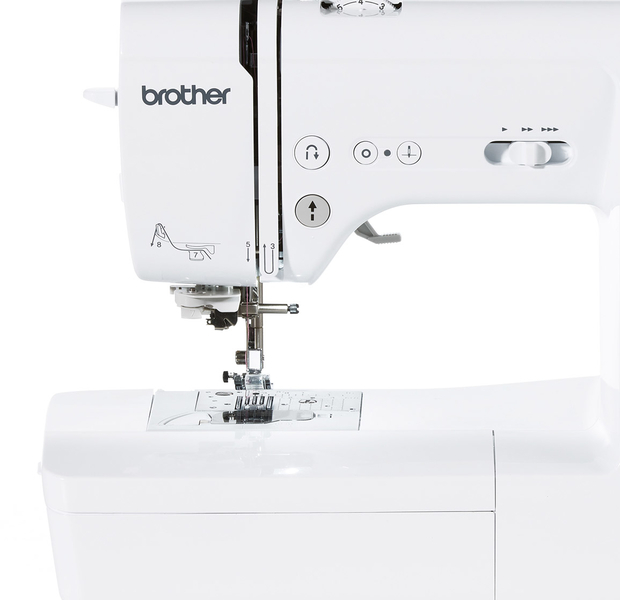 Suitable for sewing hobbyists, dressmakers, repairs and patchwork quilters, it’s also suitable for beginner and experienced sewers alike. 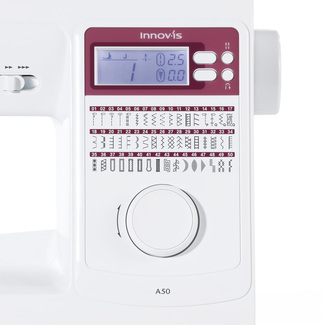 The interface has a built in jog dial that gives you the ability to easily decide from the wide range of 50 built in stitches, including 5 buttonholes, which are conveniently displayed on the machine panel. 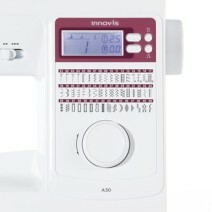 Simple touch button controls and large clear LCD display offer easy and precise adjustment. 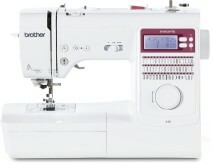 This machine has plenty of features including the built in needle threader and speed control slider.